Hey guys! I’m guest posting for Lauren today. For those of you that don’t know me, my name is Paije and I blog over at Veggie Monster. I am soo honoured to get to guest post because Lauren is definitely one of my favorite bloggers!! If you couldn’t guess from the name of my blog, I kinda have a thing for veggies 😉 In a big way. I obvs have no problem getting my 8-10+ servings of veggies a day but I DO, however, have a problem eating enough fruit! I only eat 1 or maaaybe 2 servings a day, usually by themselves as a snack or 1/2 a banana in my smoothie or oatmeal. Can you say BORING?? And not very creative either. 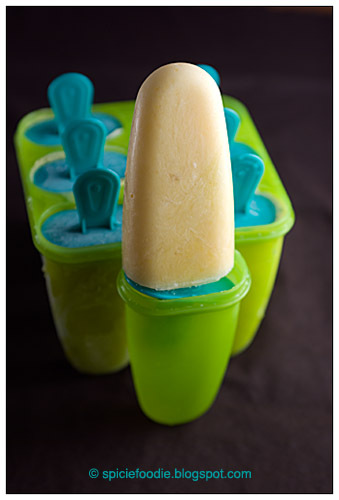 I used to loove these homemade popsicles my mom would make us as kids. I can’t believe I’ve forgotten about them! Yogurt with fresh fruit and frozen until set. YUM!! Soo many different combos: Plain greek yog with strawbs/cherries/peaches/blueberries/blackberries, etc. 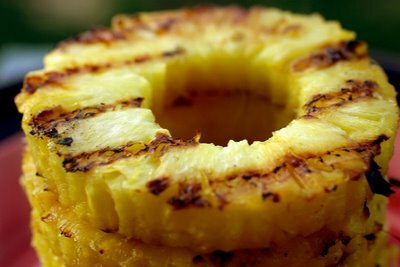 Pineapple is my faaavorite fruit and it is amazing grilled!! Grilling fruit releases their natural sugars, softens their skin and tastes amazing! Eat it as a dessert/breakfast topped with yogurt/ice cream + granola or use it as a burger topping! Soo good! Other fruits that taste phenom grilled are peaches, pears, nectarines, etc. 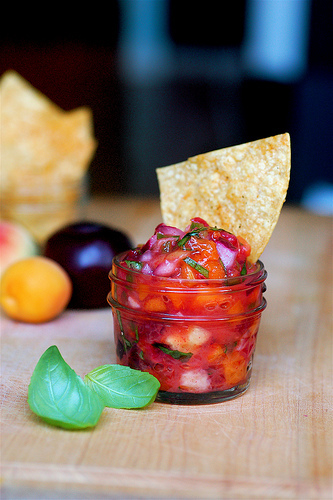 There are soo many great fruit salsa recipes out there. Mango, strawberry, peach, kiwi, the list goes on and on!! They are an amazing accompaniment to fish/chicken/veggies and are crazyawesome with chips (big scoops are best! ), eggs, nachos or as a salad topper. I don’t know about you but I used to looove fruit roll-ups as a child. I don’t eat them now (hello cavities) but the grown up version is a million times better and a million times healthier! Again, soo many different flavor combinations: strawberry, apple, raspberry, cherry, nectarine, etc.You name it, it can be made into a fruit roll-up! There are soo many other ways to eat fruit, too! 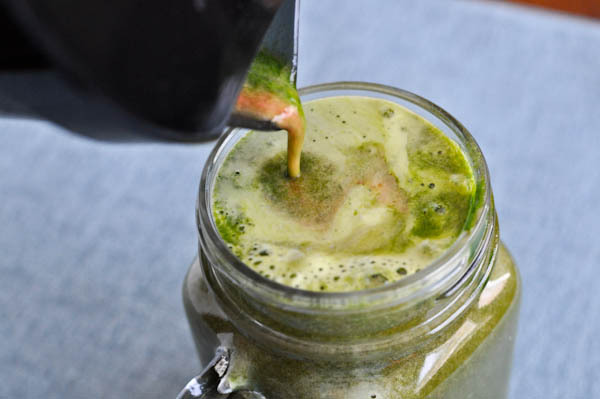 Smoothies, fruit spreads, chutneys, syrups, and slow cooked sauces are incredible also! Eating seasonally is also really important! Not only is it fresher, tastier and more nutritious, you are also helping support local growers and you’re not paying A TON for fruit that comes from around the globe! What do you think? Are you a fruit monster? What’s your favorite way to eat fruit?? I must put homemade fruit popsicles and fruit roll-ups on my to do list for this summer! When it’s fresh fruit, I’m kind of a purist. There’s nothing better than a fresh juicy peach in the middle of the summer, but grilled pineapple is a close second. Thank you so much, Paije! It’s nice to hear that someone gets enough fruit. I don’t usually have a hard time getting in a hefty daily dose of fruit, but these are some fantastic ideas! Definitely gonna have to try the popsicles and fruit roll ups. Most of the time, I just eat fruit straight up. A handful of berries. A few slices of melon. A cold, crisp apple. But I also love slathering fruit in almond butter, throwing it into yogurt with some cereal, making smoothies, and putting it in my oats. Well even if you do get enough fruit it’s always fun to change it up! My guy and I both have a secret love of gummy bears.. we love the texture. 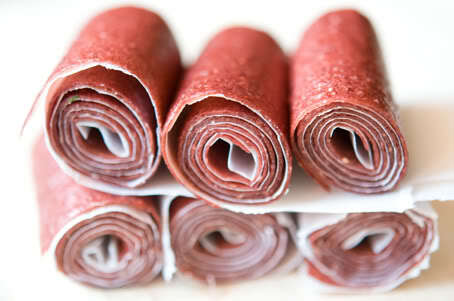 Homemade fruit roll ups are a definite must try to get rid of the sugar/chemical filled candies! I eat lots of fruit.. no prob. getting it in over here! I love bananas cooked into hot oats, banana and greens smoothies, banana soft serve, and apples or bananas with nut butter. I for real don’t think I could live without bananas! I could eat fruit ALL.DAY.LONG. I absolutely love it, i have been actually craving the biggest fruit salad lately. i could overdose! I should whip up some fruit leather though yum. Just found your blog, I will be following!